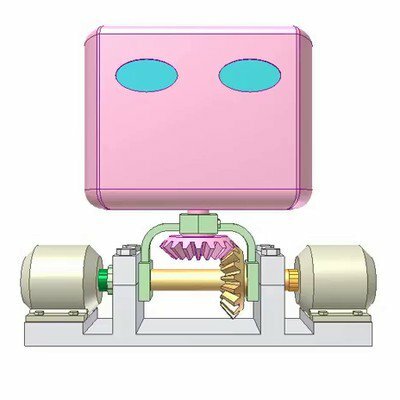 The cylinder of pink piston controls the clamping of yellow workpiece at two points of different levels. Pink rack fixed to the piston turns orange gear. 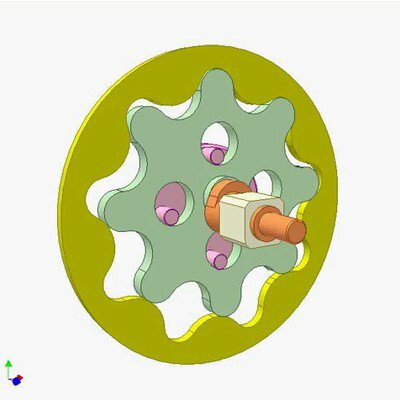 A sliding key joint is created between blue shaft of two gears of opposite hand helical teeth and the orange gear. 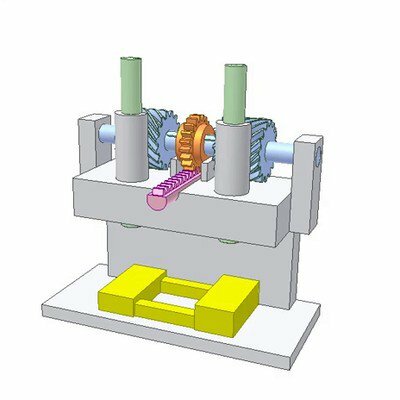 The shaft turns and moves axially to compensate the different heights of clamping points.